I am practically salivating onto my keyboard at the sight of all the wonderful jams, pies, salads and other delights, made from homegrown or foraged foods. I, on the other hand, a founder of this wonderful series have not, I confess, been out day after day picking the bounty of my garden. Despite Laura’s kind words about my gardening prowess, back when we launched this series a month ago, this year has been my least successful when it comes to growing food. 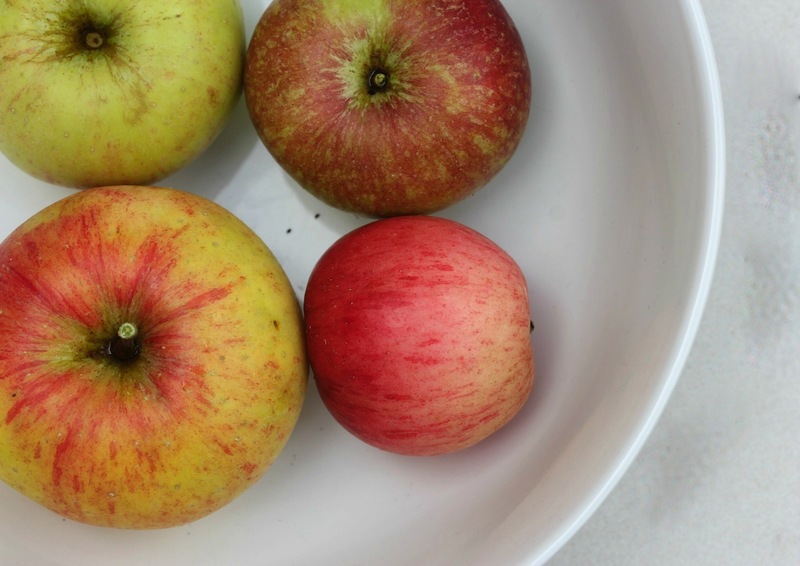 There was the excellent plum bounty, to be sure, and the apple trees have produced a small but steady supply of really delicious apples (though nowhere near the apple glut we had the first year we moved in). The brambles at the bottom of the garden by the greenhouse have been nothing if not prolific. But, to the production of these delicious fruits I have assisted but a little. Yes, I did prune and thin the apple and plum trees earlier in the year (I recall the rather worrying incident of a heavily pregnant lady swaying atop a rickety ladder fairly well). And when it comes to the brambles, well, I have actually spent quite a lot of time and effort trying to eradicate them, so far completely unsuccessfully. But everything that I have actually tried to grow has been an unmitigated failure. Now, I hope you’re not eating anything when you take a look at the photo of my single courgette. 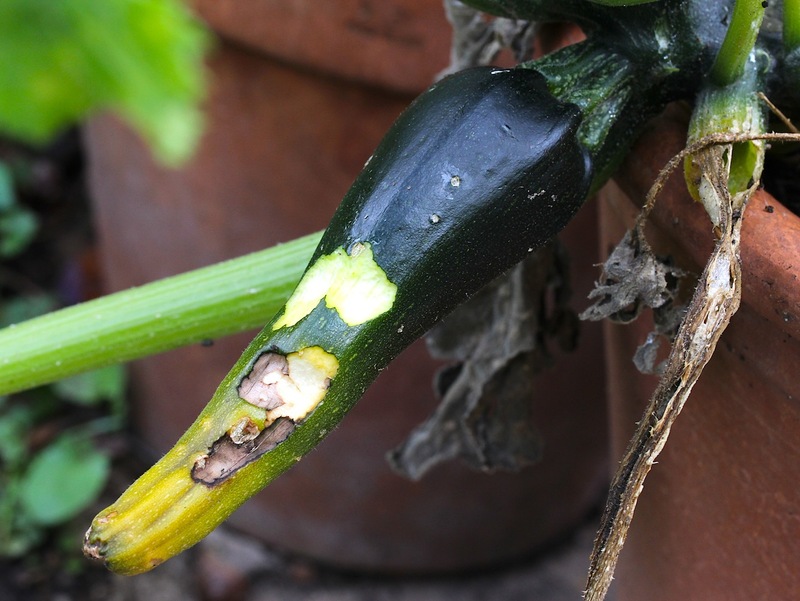 Yes, this limp (I am restraining from using the word “flaccid”) nibbled, part yellow specimen is the solitary courgette produced from my courgette plant. Appetiising? Not so much. Everyone, but everyone growing courgettes has the September “what the hell am I going to do with all these courgettes?” quandary. Everyone, that is, but me, who knows perfectly well that this sad looking specimen is headed straight for the wormery. The slug damage inflicted is just too great for any recovery now. A few steps over and you find this glorious prize winning aubergine. Yes, it’s really pretty, but can you turn into into baba ganoush? What’s that you say? Just a tiny little flower? Oh. Yes. So it is. I can’t even show you a photo of my purple sprouting broccoli plants, veg that I have grown in previous years and eaten with delight for the whole of the winter months. I lost them all a few months ago to caterpillars. Overnight. 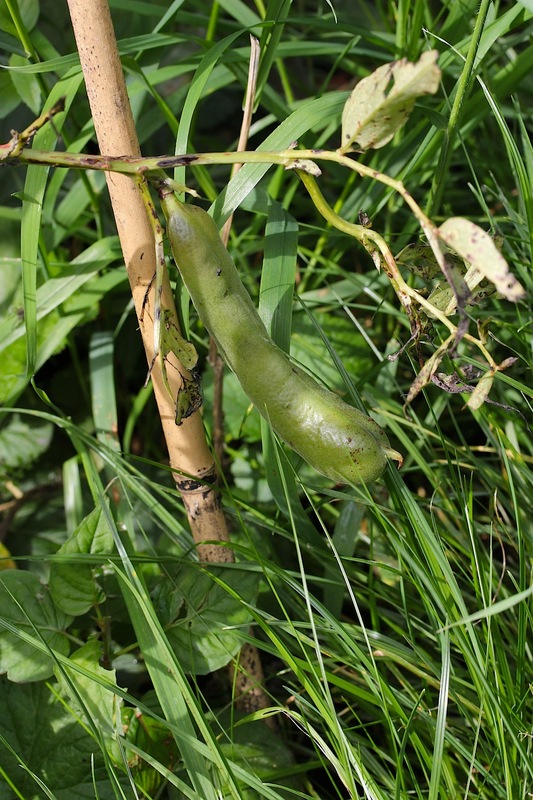 The broad beans are certainly more successful because they have, gasp, produced one whole entire almost certainly edible bean. Hurrah! This is he. Hot on the success of my lovely borlottis last year, I planted half borlottis and half broad beans. I cared for them, nurtured them from seed, watered and loved them in the greenhouse and, in May, certain the last frost was over, I planted them out into a specially prepared patch in the garden. There were 24 plants in total. Two weeks later there were three. Now, there is just the one, with this single bean hanging from its stem. 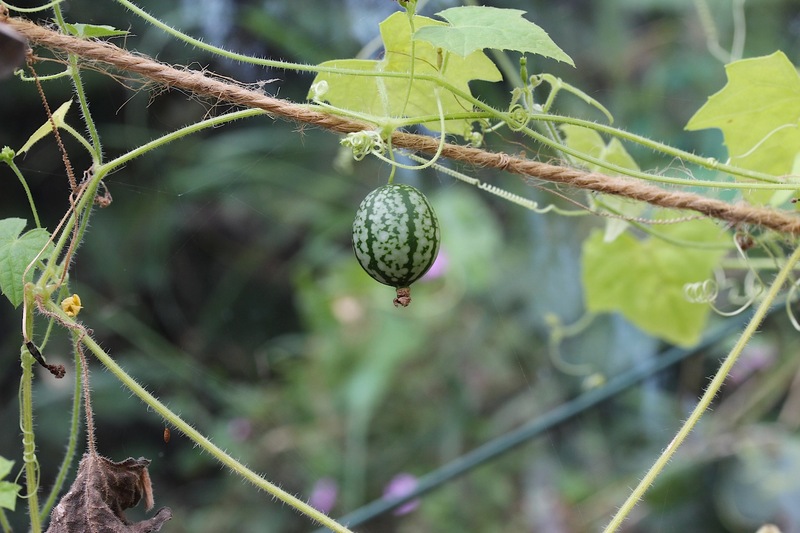 Even the cucamelons, something I declared both prolific and fail-safe after my first attempt growing them last year, are struggling on, pitifully, producing a few fruits but mostly dying down. Awww, I never tire of their cuteness! The problem with it all, of course, is lack of time. I never use chemical bug killers or computerised sprinkling systems because of environmental / sustainability issues. But hand slug-removal and hand watering are only good if you actually *get out into the garden and do it*. This summer, what with one thing or another (thing one: a toddler, thing two: a baby) free time has been slightly on the rare side and the poor garden has rather suffered as a result. 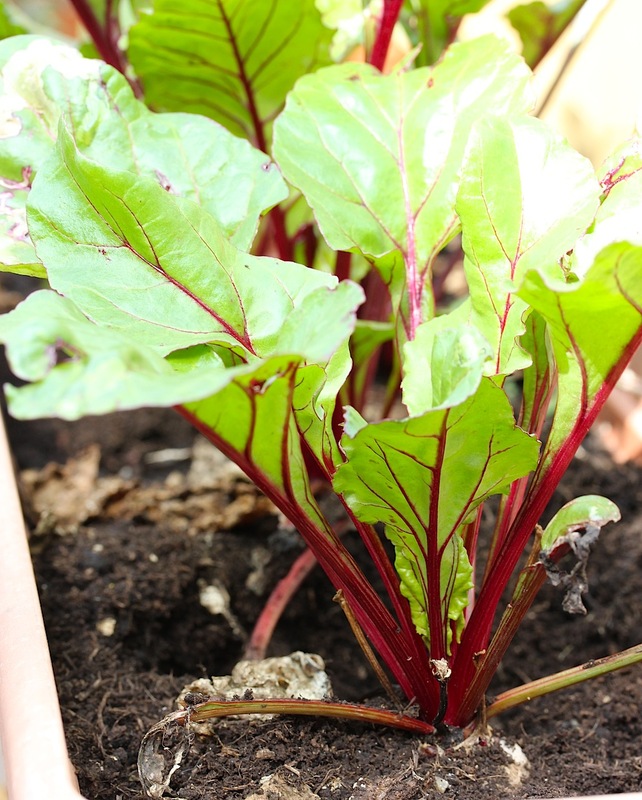 The one hope for any sort of real harvest I have are my beetroot, which succumbed in a big way to some sort of fungal disease a month back (the result, I am certain, of letting the sproglet be in charge of watering them, which will have bounced the fungal spores all over the place. Never water from above in the middle of the day, I know that, of course, but the sproglet loves watering the garden so much that I feel exceedingly mean to deny his enjoyment…) At one point they had not a single green healthy leaf among them. Now, amazingly, a pleasing resurgence and they look as if they might yet produce some decent roots for eating. Sunkissed and, astonishingly, still alive, hurrah! So the verdict from my garden this year. Pests: 1; Sabrina: 0. I’d love to end on a deep philosophical note about how gardening isn’t just about the end result, but also the pleasure of time outdoors, taking a moment out of your life, yadda yadda yadda < insert appropriate homily here> but, you know what, I really wanted to actually grow something to eat this year and I am pretty miffed at the sorry show. So please, keep your pictures coming so I can live vicariously through your gardening successes! Tag your photos #growforagecook on instagram, tweet us your blog posts (to @circleofpines or @wolvesinlondon) or just leave a comment below. Meanwhile, over here in slug city, my love of stocking the larder won’t be thwarted (Autumn time to me = permanent eye-watering vinegar aromas in the house as I pickle / chutnify everything I can get my hands on…) But if it’s not made from plums, apples or blackberries, it’ll be from the veg box this year, not the fruits of manual labour. A garden is kind of like life – you make plans but things never quite go the way you expect them to. Some years are good, some years are terrible, right? Last year, our garden got sidetracked by not one but TWO floods thanks to record-breaking rains. Then an explosion of rabbits decimated what survived, no matter how many times I replanted. This year, a rabbit somehow got in and did some damage, then we got some mildew, then voles from a neighboring plot filled with trash (we have a community garden) ate our green beans right as they started to thrive. Thanks for your rabbit stories too, they cheered me up no end! I should make a list of pests I have and pests I don’t, for whenever I am feeling fed up with all the snail and caterpillar damage! What a sorry tale! Well done for posting a piece showing life without the usual rose tinted glasses of creative Blogland. Sometimes we need a little balance on here. I know I am guilty of posting just lovely things made and seen, time and time again. It has indeed been a marvellous year for slugs, it seems. Through a lack of time and inclination I succumbed to the little blue pellets but then I do not have little people. My biggest problem is cats. We seem to have the only garden around with beds and not just grass. Consequently the cats seem to view us as an open litter tray. Next year there will be money spent on proper netted enclosures defeating both the cats and the Cabbage Whites. Netting is what I need too! Slugs are a tricky one — I don’t like the pellets because other animals can eat them (like poor old hedgehogs!) but all of the non-chemical controls I’ve tried are basically useless. I’ve spent a fortune over the years on copper rings, nematodes and the like, none of which have ever done a thing. Nor has crushed eggshells, coffee grounds etc. About the only thing to do, I reckon, is midnight patrols with a torch, but I certainly do not have the energy for those at the moment! I always hope that the birds and frogs will eat them, but it never seems to happen. (Or maybe they do, but there are just so many of the little critters that still millions remain…) The snails get collected at weekends, with help from the sproglet, and taken to a snail rehabilitation centre, aka the local park. Shhh, don’t tell the park, I’m not sure they really want millions more snails. I always wondered about nematodes. They didn’t work then? I love this post, it is real and to the point!. In my old garden we had tons of slugs, although we tried the egg shell trick, that never stopped them to eat our little patch of veggies. My “now” garden is in progress, then no veggies or fruits growing…but some herbs yes, and I use them when I cook pasta. 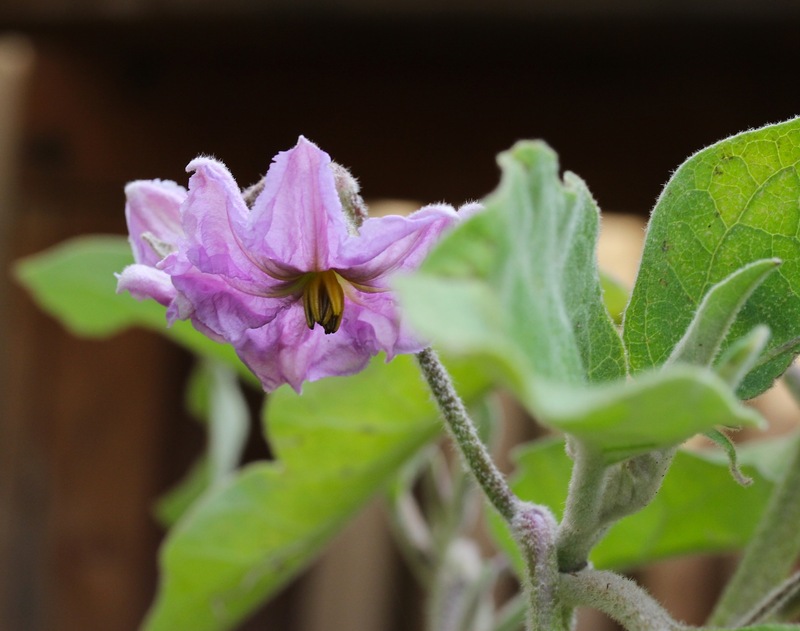 Honest gardening…despite our best intentions sometimes we just don’t achieve the results we’d like. Ah, I’m glad you’re sharing in my courgette problems, I genuinely thought I must be the only one not to manage any courgettes! Sorry to hear about your lovely tomatoes too. Blight is a total disaster isn’t it? Ha ha, enough to make you wonder why you do it, sometimes, but of course it’s worth it in the end for those years of bumper harvests and gluts to be devoured by any means possible! Oh my goodness, I love your carrot story! In fact, I love it all. Always cheering to hear I’m not the only one with a million empty seed packets and nothing to show for them, ha ha. Yes, next year will be the bumper harvest year, of that I am *certain*! Ewwww, snail eggs are pretty horrible. We found (and destroyed) a load last autumn, but they have clearly managed to lay a whole succession more since then! Thanks for the comments on the fabric designing. I have managed a few designs so far, there are these teapots and a whole slew of other experiments with vintage images as well. I’m actually waiting for a few more to be posted out from Spoonflower at the moment. I do find it disheartening when all that hard work disappears into slugs and snails stomach’s, or fall prey to the vagaries of the weather, but you pick yourself up and try again next year don’t you. Oh no! So it’s not just me who has had a bit of a disaster on the home grown produce front. Sadly we haven’t even had a thing from ours. I’m going to plant fruit trees next, hopefully they will prove more successful. I think I was led into a false sense of security when we had a fantastic bounty of produce last year. I blame the all that glorious sunshine we have had, but that’s a good thing. I feel so badly for you but you are certainly taking it all in stride. Maybe next year…!